In the early morning hours of September 10th, 2015, a Geneva Rock crew was busy working on a five mile mill and fill job in Taylorsville on Interstate 215. As paving crew superintendents Cody Clark and Joel Robertson drove across the project site, checking in on the scheduled work, they noticed a massive black cloud of smoke coming from a nearby 20-unit apartment complex. Without hesitation, Clark called 911 and the pair drove over to the apartment complex where they ran door to door, waking residents and pulling adults and children from the burning building. The fire was a complete loss, with damages estimated at $1.5 million. “The fact that everyone got out OK and there were no injuries or fatalities given the time of morning, it was at 3 a.m., is just phenomenal that that even happened,” said David Ulibarri, a Public Information Officer with Unified Fire Authority. Robertson and Clark said they don’t consider themselves heroes. Just guys who were lucky to be in the right place at the right time. 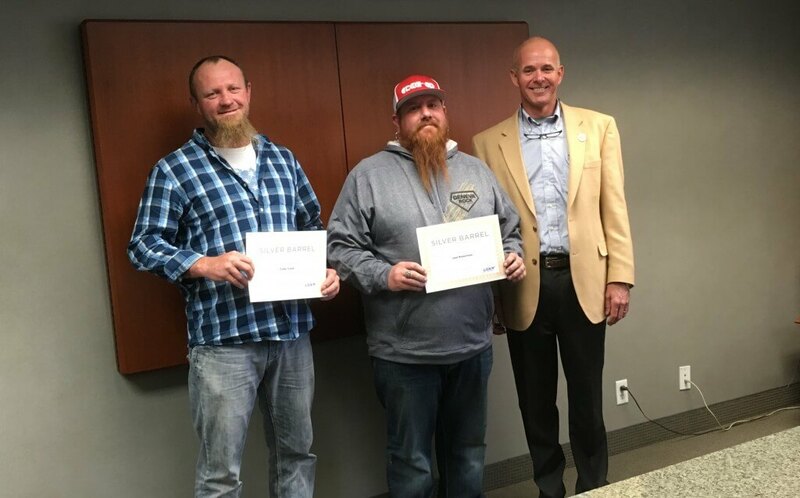 On Thursday November 19th, Carlos Braceras, Executive Director for the Utah Department of Transportation, recognized Clark and Robertson for their quick actions that most likely saved many lives that night. The Geneva Rock Paving Superintendents were awarded UDOT’s Silver Barrel award – a recognition calling attention to and thanking the employees and UDOT partners who excel beyond expectations. 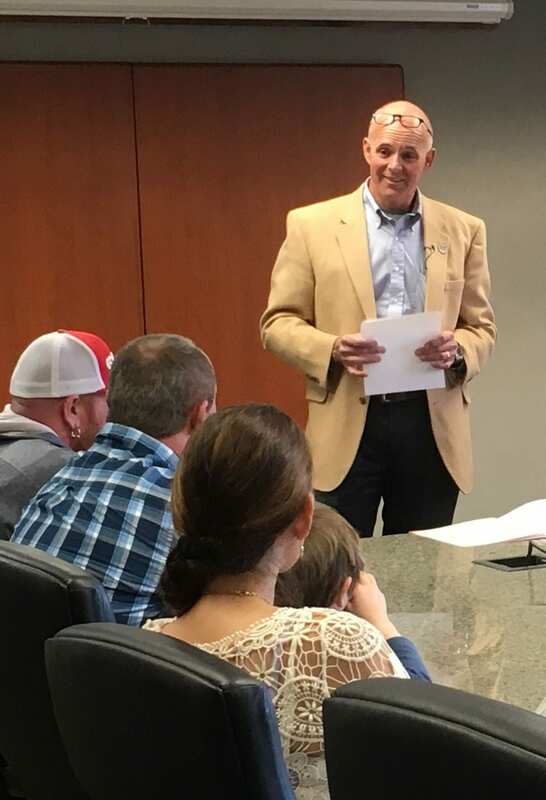 This was only the third time in three years that the award was given to anyone other than UDOT employees. 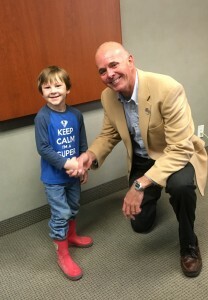 Geneva Rock is proud of the legacy our employees continue to build on behalf of Building a Better Community. Congratulations to Joel Robertson and Cody Clark for this distinguished and well deserved award.